Suwanee, GA – Ultra Axle, LLC (“Ultra Axle”), an affiliate company of Omix-Ada, Inc. (“Omix”), has just acquired assets of Alloy USA, Inc. and Precision Gear, Inc. in a liquidation process. A partial listing of assets includes inventory, 3 websites, phone numbers, trademarks, computer system and data. Ultra Axle is currently in the process of moving their on hand inventory to GA and upon taking an inventory count, the entire Alloy USA™ and Precision Gear™ current inventory will be available for purchase from us immediately. We will also work around the clock with the current suppliers of Alloy USA™ and Precision Gear™ to expedite receiving the missing items soon. Our intention is to make the entire line of Alloy USA™ and Precision Gear™ products available in stock in the shortest possible time to serve their customers and ours. 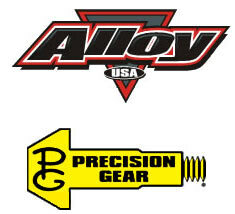 We are planning to have the entire Alloy USA™ and Precision Gear™ products available such that these 2 lines also can be mixed with Omix’s products, enabling customers to purchase both these lines along with Omix, Rugged Ridge, ORV and Outland products under Omix’s best in industry freight policies for both stock and dropship orders. For years we admired the quality, ingenuity, effective marketing and far reaching distribution of Alloy USA™ and Precision Gear™ brands in the market. Now we are planning to add our financial stability, high fill rate, same day shipping, freight programs and ecommerce tools to theirs in order to take these lines to their fullest potential in serving the customers and the markets. We are naturally excited to have these product lines available through our distribution channels. Please bear with us for a few weeks and you will see further notifications, product listing and prices that you can resume your purchases of Alloy USA™ and Precision Gear™ products again. If you have a listing of Alloy USA™ or Precision Gear™ products that you need urgently, please let us know. We will do our best to locate these products first and fill your urgent orders expeditiously if possible. As always we appreciate your business and support, and if there is anything we can do to make this transition easier for you, please do not hesitate to let us know.